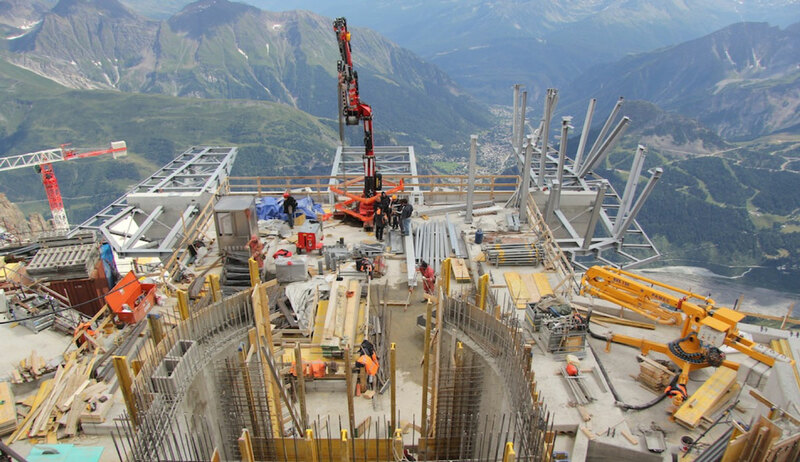 Called the eighth wonder of the world, the new complex of Mont Blanc is definitely our more relevant project that has involved engineers and design planners of our facility for over 10 years of work in the general coordination of engineering services , planning and construction management. The careful choice of materials and technology has allowed the environmental insertion of the works in a harmonious and qualifying way for the territory, guaranteeing a leading result both engineering and design terms. The planning has been targeted for a construction by existing systems to allow the tourism in old systems, made in 1947, during the execution of works. 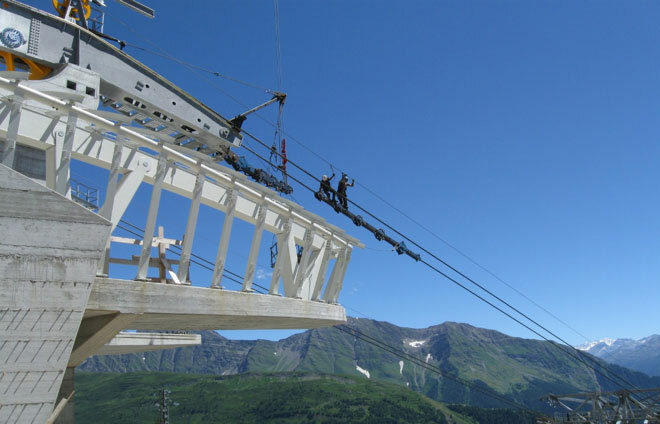 The works started in April 2011 and the new cableway complex comes into operation on May 30, 2015, after only 4 years of construction. The completion of works is expected in the summer of 2016 with the demolition of old systems and transformation of the old Pavilion station in an exhibition area and a museum. 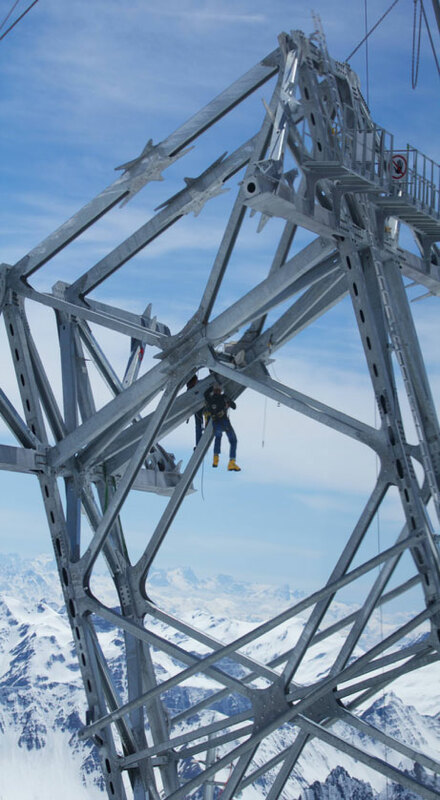 In the new complex are operating two cableways on three sites; the departure to Pontal d'entreves, the intermediate at Pavillon du Mont Frety and the arrival above Punta Helbronner 3466 altitude metres above sea level. The whole complex is characterized by very high plannering standards in order to minimize energy requirements for heating/cooling. High-efficiency heat pumps, solar panels, energy and heat recovery units allow the new complex by not using fuels, with only one obliged exception for emergency power units. 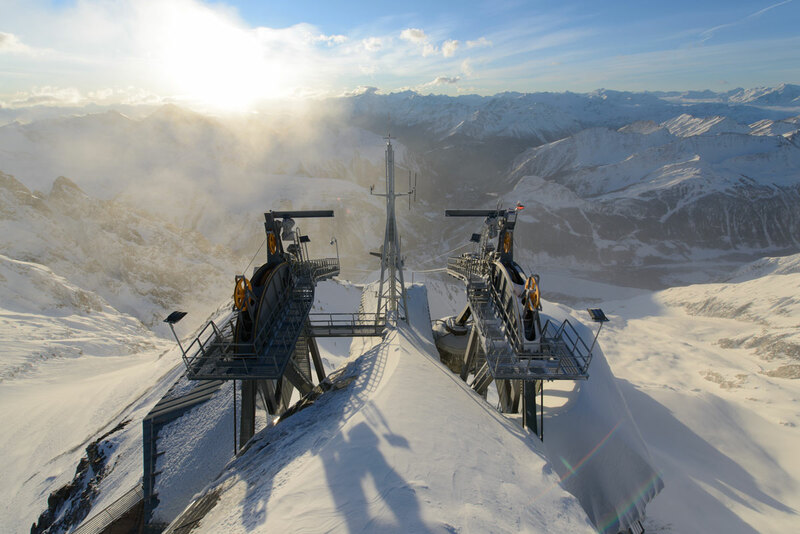 In parallel with construction of the new cableways were built a waterworks and a sewerage in the Pavilion area and a purification plant for Punta Helbronner station. 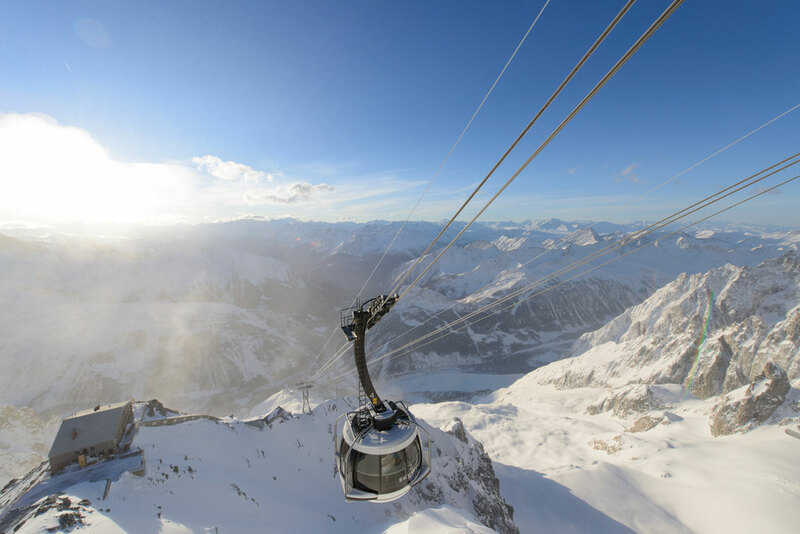 The system are cableway with 2 “goes and comes” cables (2 X 64 mm in diameter) with a double bearing cable with a capacity per hour of 8oo people for the first section and 600 people/h for the second. The speed of gears is 9 m/s without slowdowns on supports and so the complete distance is covered in just 12 minutes. 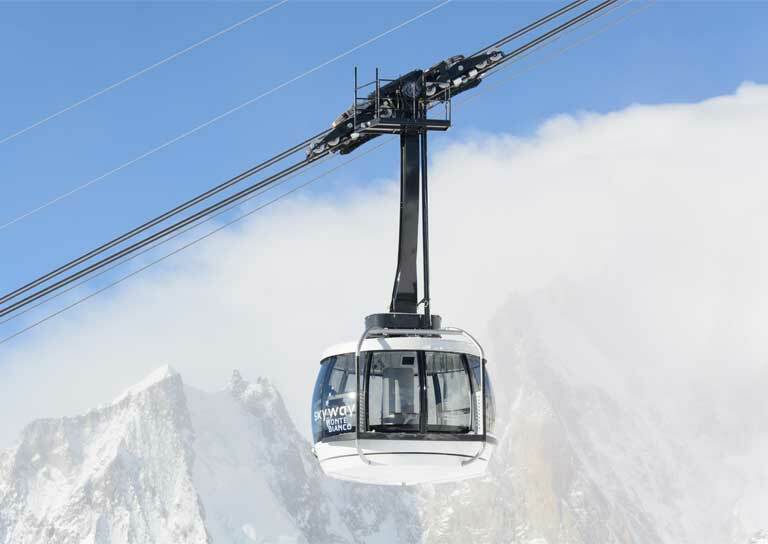 Cabins can accommodate 80 people and are fully rotating and glazed to ensure a 360° views of stunning panorama of the Mont Blanc group. 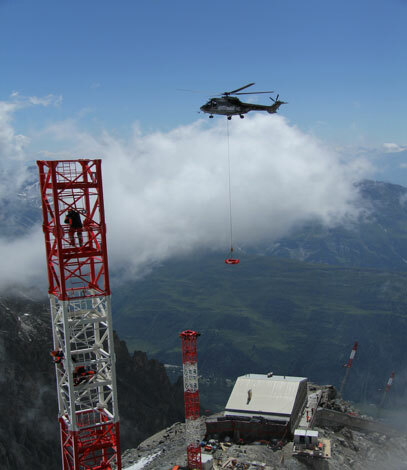 This station is in the free area directly below of the built-up area of Entreves and it is circumscribed by the service Main Road 26 to the Mont Blanc tunnel. It integrates many services including an indoor car park for about 300 cars, a parking lot for 50 cars and 10 buses, ticket office, technical premises and managerial structure offices, coffee bars, toilets, infirmary and tourist bureaux. The curvature of the roof gives the station an appearance deliberately streamlined capable of going and being connected with the natural morphology of the land . The outer coating is made of aluminium-Titanium plate. The new intermediate station at Pavilion was studied in order to fit elegantly into the undulating alpine ground of Mont Frety. The place features allow the inclusion of a range of complementary services such as internal lifts, coffee bars, restaurants, all with a panoramic terrace, a multimedia conference room with a capacity of 148 seats, commercial area, museums, thematic areas of communication, outdoor routes of approaching to nature, botanical gardens and outdoor solarium, all overlook by the view of Mont Blanc. 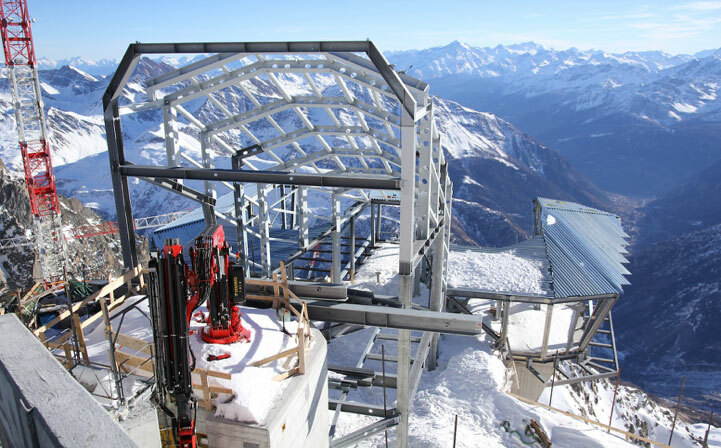 The last station was built in full obedience of the boundary line that intersects the Summit at an altitude of 3463 m ASL, therefore its related volumes are developed entirely on Italian territory. 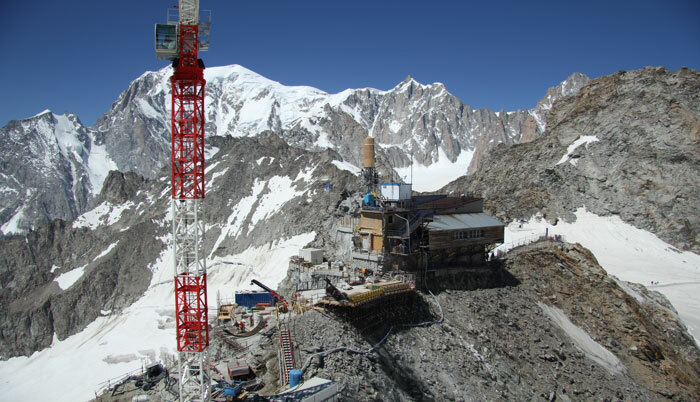 The entire project takes the places of the previous concrete structure on various sides: South goes on the steep slope of the Helbronner peak, North comes until the spur immediately downhill of the French station. The angular nature of external forms is closely related to the use of high performance materials. The chosen forms are also able to limit the deposit of snow and ice on external surfaces of the building, even through the contribution of thermostatic performance of the coating materials. 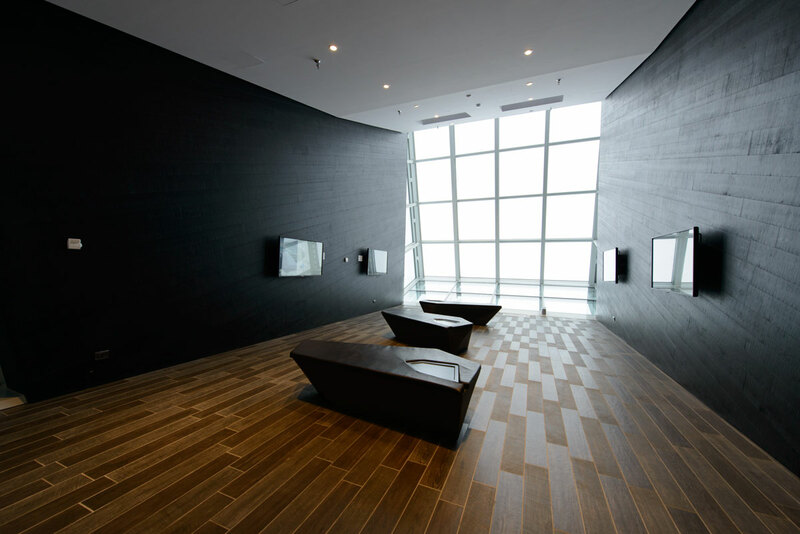 The articulation of the elements made with different materials (concrete, steel, wood and glass), according to the different structural functions, provides the interior spaces an original environmental content in close connection with the outside. 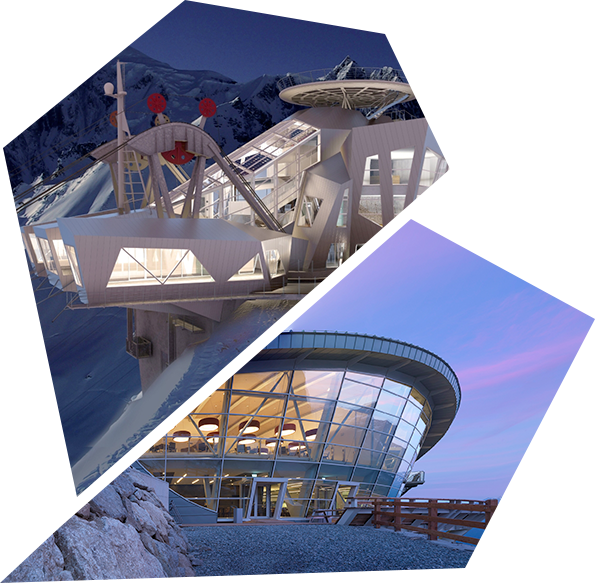 All areas, inside and outside, are at the heart of the Mont Blanc; a terrace with a panoramic view of 14 meters in diameter on the cover of the station, allows you to enjoy a 360° view without obstacles.